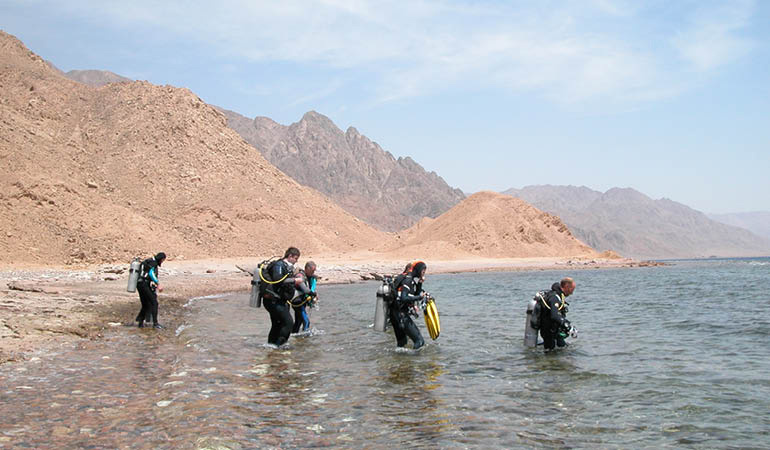 Join the ultimate safari experience open to both certified and beginner divers, looking for that little bit more from a Red Sea holiday, and gain an insight to both on land & underwater eco systems. 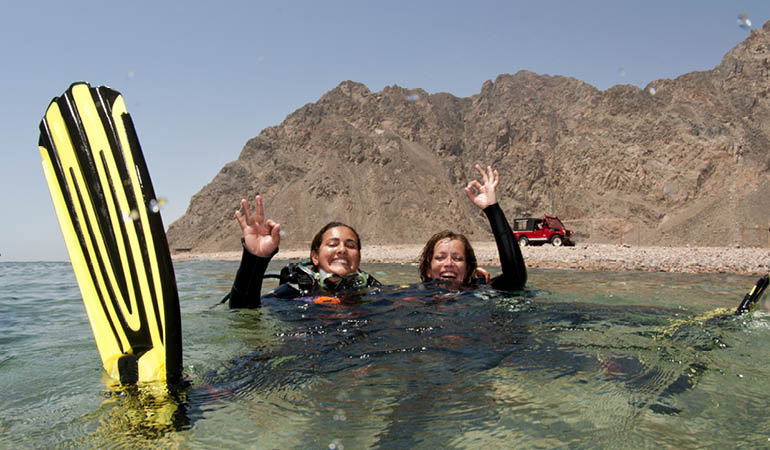 Enjoy diving in the Red Sea, with its abundance of marine life & coral ecosystems, and desert trekking, exploring the stunning natural beauty of the Sinai Desert, with it’s canyons, oasis and plateaus. Immerse yourself in local culture, as you sleep under the stars in our Desert Camp, with Bedouin tribesmen as your hosts. After breakfast, at 09:30 am you shall be taken to the Dive Center to arrange equipment required and Sign up for 2 local dives. Within in these dives you will be able to adjust any equipment, do a weight check and get an orientation of diving in the Red Sea. All equipment should be packed in safari bags ready for early morning pick up before departing on Safari. An early breakfast has been prepared for you at 06:00 am, and you shall be picked up at 07.00 am, to head north to The Blue Hole where camels will be waiting to take you on the first part of your Safari experience. 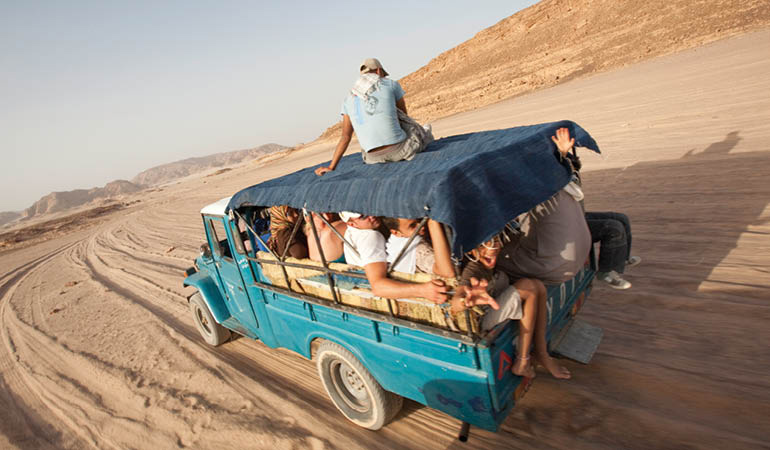 All equipment will be loaded onto the camel, and you take your seats for the app. 1hr ride to Ras Abu Galum. Camp will be set up in Ras Abu Galum, the ‘Million Star Hotel.’ Dinner is freshly prepared and cooked on the open fire. Waking up with the sun, with a breakfast on the beach, we shall depart by 4x4 Jeep, heading away north direction for 2 x dives. 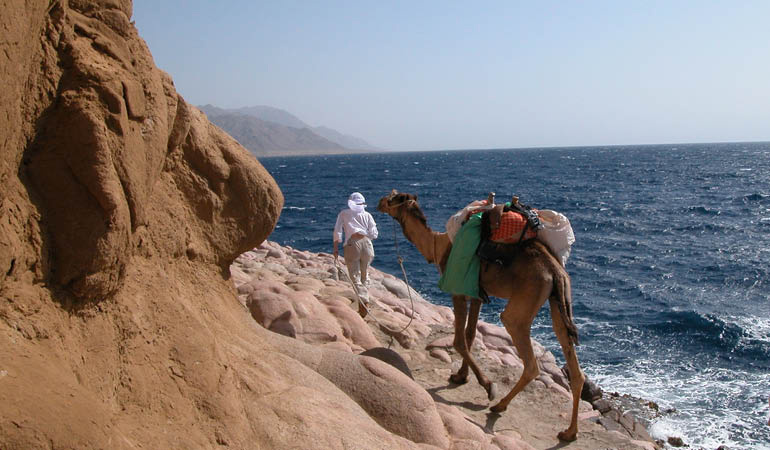 On the Gulf of Aqaba coast line at Ras Mamlak; Sunset form one of the plateaus, desert sleepover. 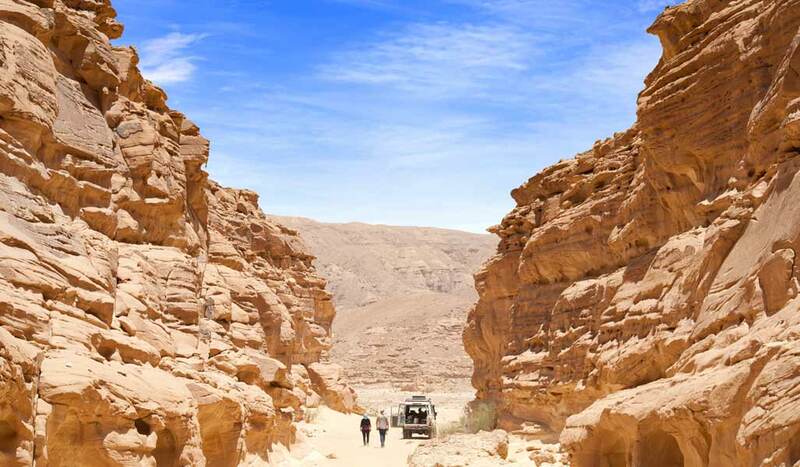 The day will be spent exploring by 4x4 Jeep the desert landscapes that make up Sinai's spectacular natural beauty. Lunch will be freshly prepared on the open fire and served within the Desert Oasis. There will be time to discover the many locations and some trekking on foot through the canyons. Return to Dahab approx 7pm. Two options for this fun packed diving day, the choice if yours! 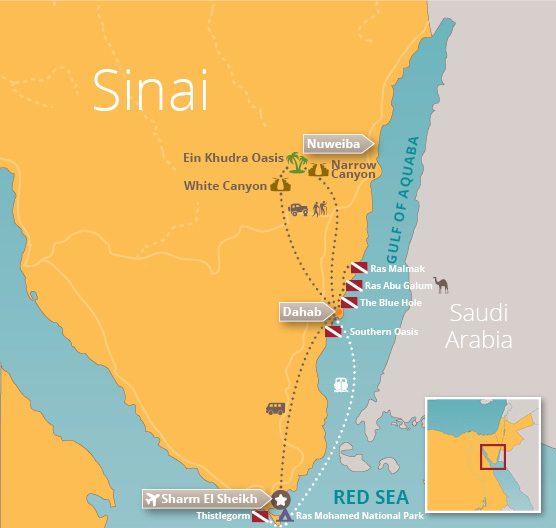 Mini Safari - We shall depart early from the Hotel and head down South, approx 10km to an area of pristine natural beauty, The Southern Oasis. Here shall enjoy 2 x dives on chosen dive sites of the spot. Lunch will served in one of the local Bedouin Restaurant in between dives with time to relax & rest before the second dive. Return to Hotel approx 5 pm. Boat Safari – Thistlegrom & Ras Mohamed. Evening dep on day 5, approx 11pm. 1hrs drive to Sharm Jetti,and board the boat, to set sail approx 4am. 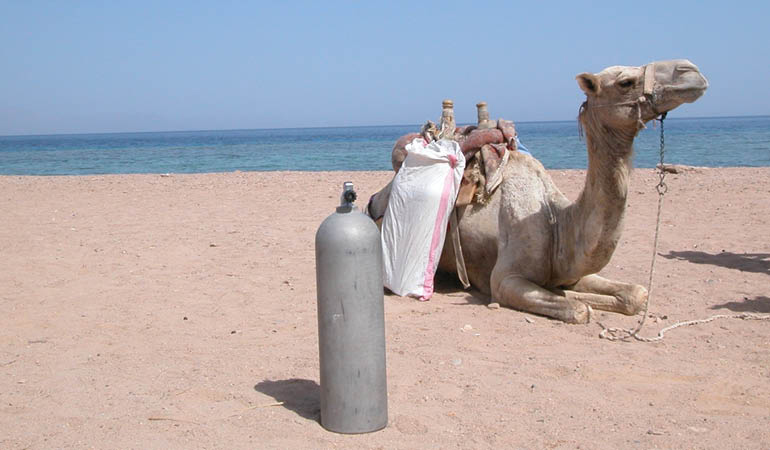 First 2 x dives at Thistlegorm and after lunch option for 3rd Dive at Ras Mohamed. 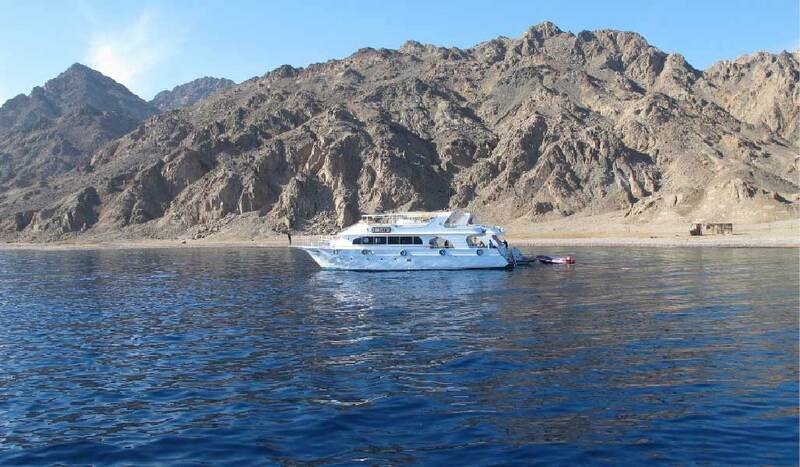 Or to snorkel Return to Dahab, Coral Coast approx 8pm. Today there is 1 x dive at the Bells Blue Hole & pm 1 x dive at The Canyon. 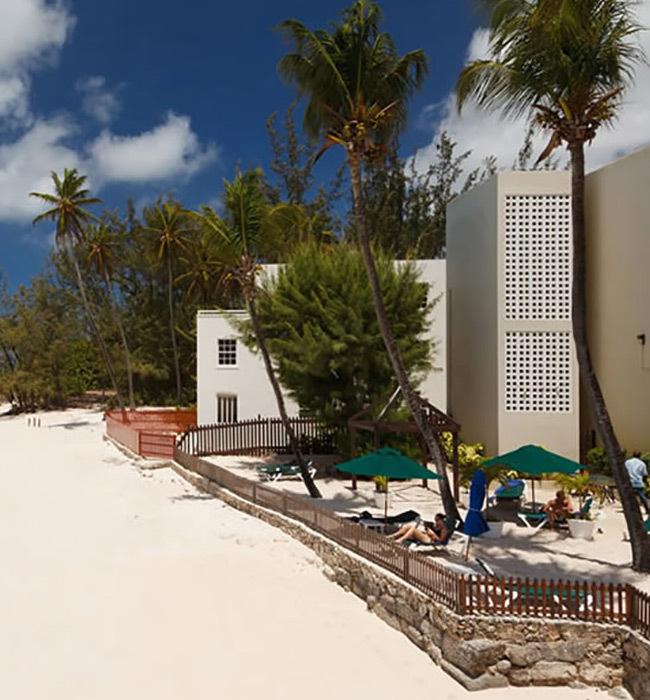 Time of depart from the dive center will be arranged with your dive instructor. Additional option: Join our evening of Traditional Bedouin entertainment at the Coral Coast Hotel beach. Please ask at Reception for full details. 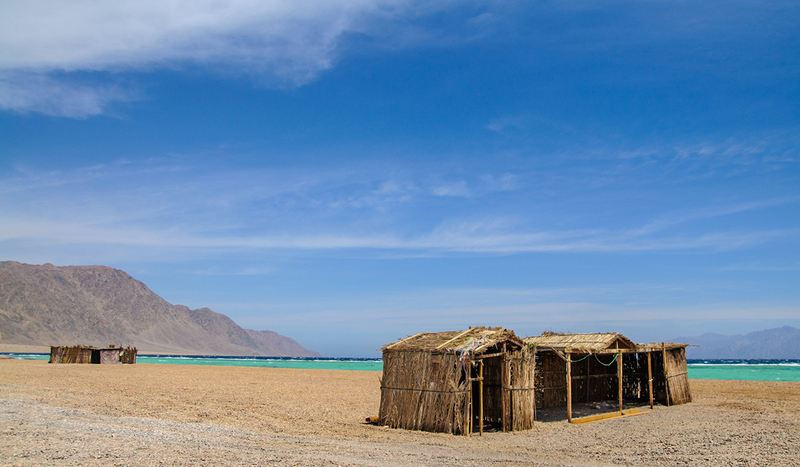 Relax, sunbathe, or last minute shop in the colourful bazaars around Dahab before the return journey to the airport and flight home. 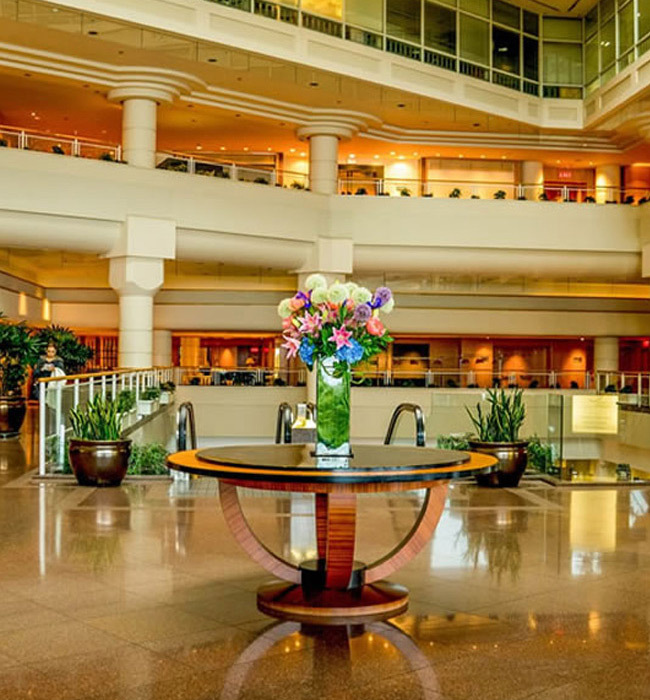 Depart hotel app. 12 noon.